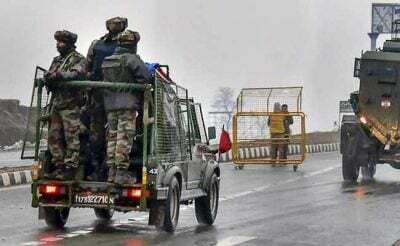 On the afternoon of 14th February, 2019 a convoy of vehicles along the Indian Jammu Srinagar National Highway carrying Central Reserve Police Force (CRPF) was targeted by terrorists with a car bomb at Awantipora in Jammu and Kashmir’s Pulwama district. Responsibility of the Pulwama attack was attributed to the Pakistan-based terror outfit Jaish-e-Mohammad. A similar bombing took place in Iran a day earlier. Pulwama attack mirrors a suicide bombing in Iran’s Sistan-Baluchestan border province a day earlier which left 27 elite Revolutionary Guards dead and 13 others wounded. A unit of Revolutionary Guards in south-eastern Iran was returning in a bus from the Pakistan border on Wednesday when an explosive-laden car blew up on Khash-Zahedan road, killing all security personnel on board. According to sources in security agencies, the modus operandi was similar—ramming an explosive-laden vehicle into a bus carrying soldiers. In both cases, the terror outfits that claimed responsibility for the bombings have the same first name – Jaish. The so-called Jaish ul-Adl terrorist group, which is linked to al-Qaeda, claimed responsibility for the bombing. The terrorist outfit was formed in 2012 by members of the Pakistan-based Jundallah, another terror group dismantled by Iranian intelligence forces in 2010 after its ringleader Abdolmalek Rigi was executed. By nightfall on the same day India’s Ministry of External Affairs (MEA) released a statement condemning the terror attack in Pulwama attributing it to Pakistan-based terror outfit Jaish-e-Mohammad. This heinous and despicable act has been perpetrated by Jaish-e-Mohammed, a Pakistan-based and supported terrorist organisation proscribed by the United Nations and other countries. This terror group is led by the international terrorist Masood Azhar, who has been given full freedom by Government of Pakistan to operate and expand his terror infrastructure in territories under the control of Pakistan and to carry out attacks in India and elsewhere with impunity. Official sources said that the attack was carried out by one Adil Ahmad Dar alias “Waqas Commando”. A resident of Kakapora, he had joined the terror outfit last year. He was also known as “Adil Ahmad Gaadi Takranewala”, meaning the one who will crash the vehicle. However, in contrast to the Indian response the Iranians not only identified the players on the ground but also its state sponsorship and the regimes pulling the string from the background uncovering the geopolitical players involved. Foreign Minister Mohammad Javad Zarif raised suspicion about the attack’s possible links to an anti-Iran summit co-hosted by the US and Poland, which kicked off in Warsaw on a day earlier. President Hassan Rouhani also described the US and the Israeli regime as the “root causes of terror” in the Middle East region as he condemned the deadly attack on the IRGC forces. “The patience that the establishment once exercised against conspiracies and reactionary regimes in the region, especially Saudi Arabia and the UAE which carry out these acts on orders from the US and Israel, will be different and we will definitely take reparative measures”. The simultaneous attack on both Iran and India has raised tensions in Asia and certainly brought the focus on terror activities emanating from Pakistani soil. What remains to be seen however is how far two nations would go to uncover and resolve the root cause of the problem. Abridged report from GreatGameIndia wiki on Pulwama Attack.